Triumph Bank is a local bank in Tennessee that still has a nationwide presence through their mortgage products. 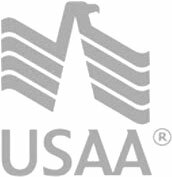 Triumph has Conventional, VA, and Jumbo loan options for those looking to purchase or refinance a home. They also offer some unique products, such as The Elite Rate Mortgage (T.E.R.M.). T.E.R.M. offers some of their best rates and is great for those who have equity in their home and are refinancing, or for those who are purchasing a new home and putting down a 20% or larger down payment. Another unique product is their Triumph 97 program, which offers 97% financing for a home purchase or refinance, and only needs a 3% down payment. Triumph Bank makes home loans in 40 different states, but they pride themselves on being a primarily local bank. Working with a local bank can have many benefits; for example, they may be more flexible when making a loan decision. They have offices in Memphis, Germantown, Collierville, and Arlington. Triumph Bank was founded in 2006. Despite starting immediately before the financial crisis of the late 2000s, they have continued to grow and thrive.